Ubisoft is known for slipping in easter eggs into their games about future projects. This was seen in Watch Dogs 2 and it seems the company did it again in The Division 2. 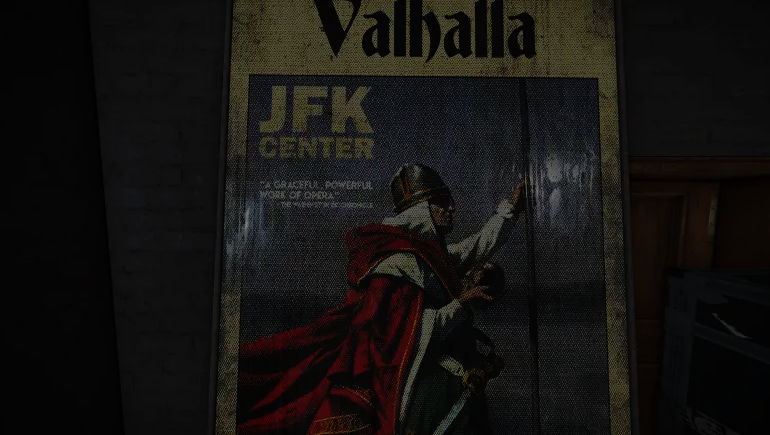 According to YouTuber JorRapor, who posted the video showing off the poster, and a published report by Kotaku the next Assassin's Creed game will involve Vikings. The poster shows a figure holding an Apple of Eden, an important item in the AC universe. The dead giveaway that this is set during the Viking era, the word Valhalla. Which is notorious among everyone after the release of God of War. Ubisoft declined to comment to Kotaku about the rumor. It's unlikely we'll see a new AC game this year considering that DLC for Assassin's Creed Odyssey is still being developed.